I’ve always passed by the Park Regis Kris Kin Hotel (better known as Park Regis), but never wondered what was in there. 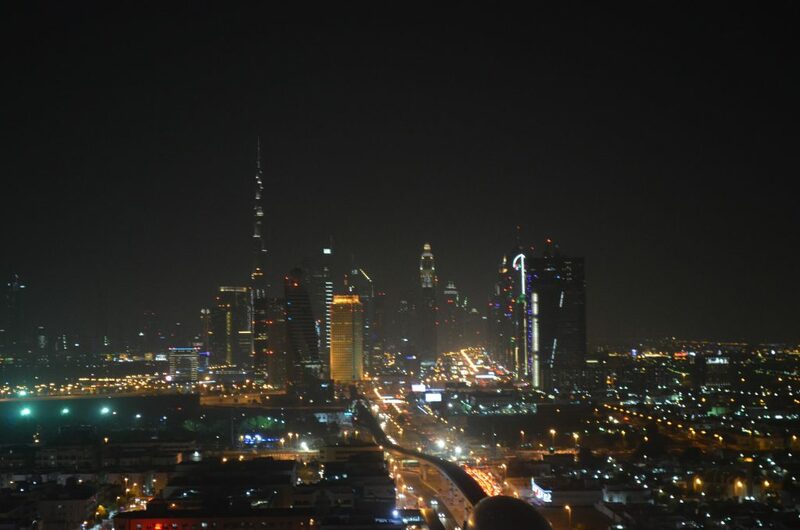 My blogger friends have often raved about its restaurant Kris with a view, which has some of the best views of Downtown Dubai that I have ever seen. 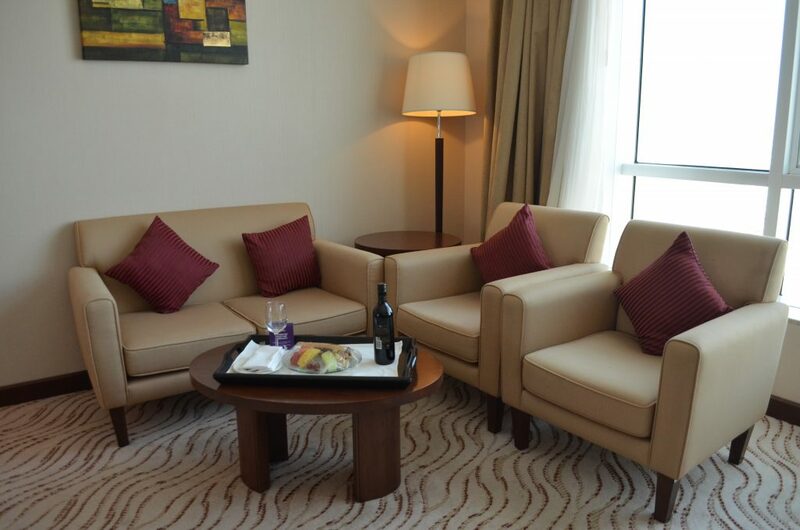 The minute we entered our deluxe suite, I was wowed by the spaciousness. Some wine and a snack tray was very well-appreciated as well. F.C. loved the larger than king sized bed and we even made note that they had a pillow menu! The suite we had sported Karama views, but there are some exclusive Burj Khalifa views as well in some suites. One of the awesome things about staying at the Park Regis Kris Kin Hotel is the fact that you have airport transfers available (free if you stay on the Burj Executive floor), shuttle buses to Jumeirah public beach and Dubai Mall as well. After we checked in, F.C. and I headed straight over to the pool where we gawked at the views and had a nice swim. The pool at the Park Regis Kris Kin Hotel is open from 7am in the morning, all the way till 10pm so you have plenty of photo ops and have the pleasure of taking in the gorgeous Downtown views at its most flattering, ie. at night. The hospitality at this 5 star hotel is great; we really felt at home with the staff there. Post the swim, it was almost time for iftar so we headed to their famous restaurant, Kris with a View. And we had the best tables in the house. Sadly, the food was not up to par because they had way too much variety and lack of food quality in general. 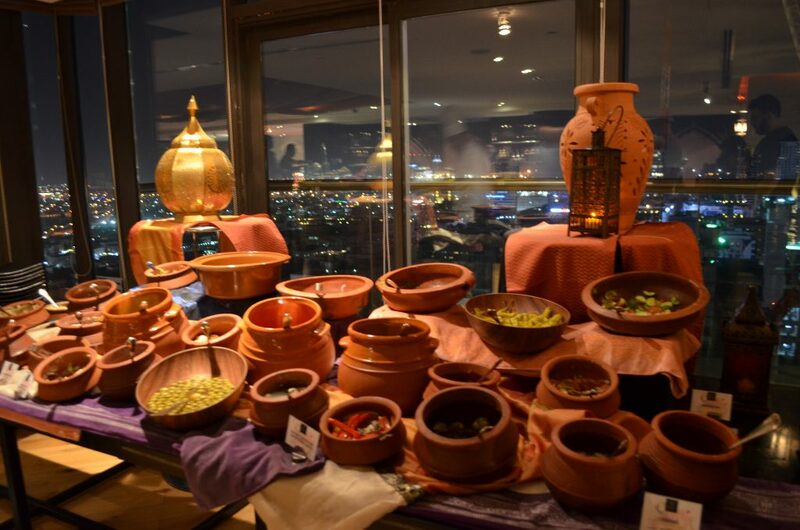 I only really enjoyed the salad and shawarma station. However, if you’re a fan of buffets, give it a try. ( Or try these alternatives here.) 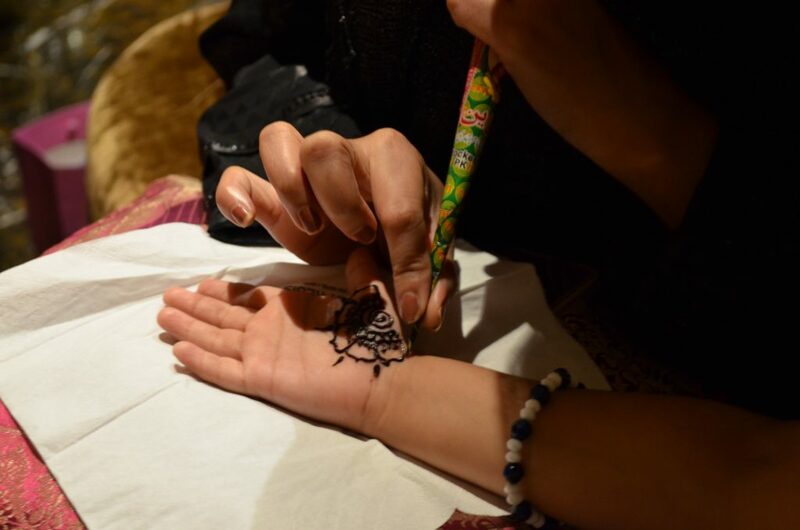 They also have a henna artist during the iftar. Later on at night, F.C. and I hopped over to the Bur Juman mall which is just a 5 minute walk away to watch Wonder Woman. It’s so convenient staying here; even if you need to take the metro, the Bur Juman is the connecting station to both green and red lines. So far, my staycation at Park Regis Kris Kin Hotel was one of the most relaxing ones I’ve ever been to. Just look at my face above! To book a room at Park Regis Kris Kin Hotel, click here. DISCLOSURE: I was invited to the Park Regis Kris Kin Hotel on a complimentary stay basis. However, all opinions are my own.This post may contain affiliate links. What a view! Does this hotel have an open air terrace apart from the outdoor pool area? It does, but it’s not nearly as impressive! I love this! LOL at “Shuterstock” couple you totally are! The instagram photos are amazing, esp the pool. I appreciate the honest review of the restaurant and the details of the amenities. You stayed during the Iftar so I bet you had the time of your life sampling all the local festive delicacies. It so convenient having metro access so close, isn’t it? Park Regis looks like a good option. The view is undeniably stunning! 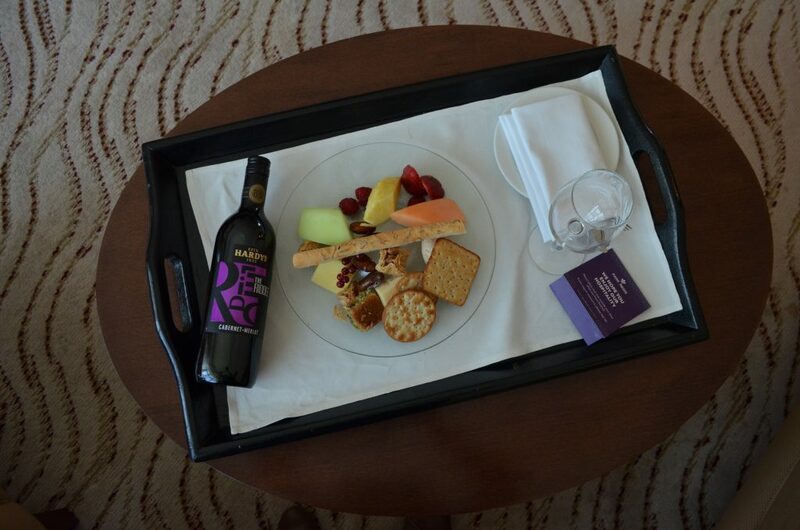 Even I’d be sold with that Wine bottle and Cheese platter in room. Too bad the food wasn’t really at par! Good to know about these small Iftar specials like Henna! Such an awesome hotel and the pool was so great! 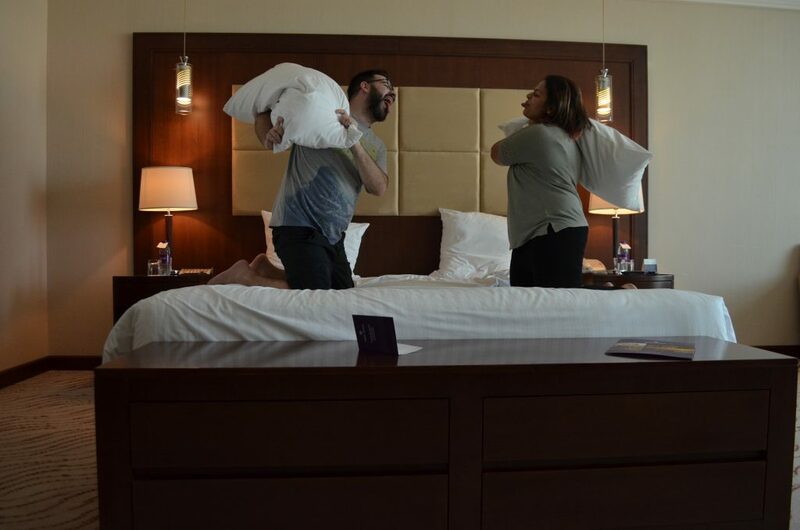 Looks like the suite you got is really beautiful with that pillow fight. Love the view you get. Would have loved to see more about the cuisine there. Cool, it seems like a place that I’d love to stay. The view looks fantastic! I liked the decor of your room and the view is breathtaking! I also liked the presentation of Iftaar dinner!